Austin’s very own NadaMoo! is in the race for VegNews Magazine’s Veggie Awards in the Favorite Vegan Ice Cream Category, and since we’re big fans of theirs, I wanted to share the news. 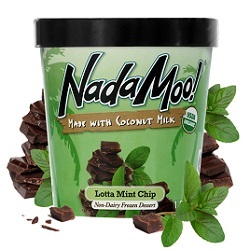 If you haven’t tried Nadamoo! you need to, and if you have you know they’re creamy, not overly sweet and rooted in goodness. They start with luscious, creamy coconut milk, known for its healthy fats and natural sweetness, add agave nectar and tapioca syrup, naturally low on the glycemic index and finally add the last bit of magic, blending in the flavors and ingredients that make NadaMoo! one of a kind. Classically craveable. Cool, refreshing organic mint is the perfect complement to packed-to-the-brim chocolate chips. Ingredients: organic coconut milk, fair trade certified organic agave syrup, organic tapioca syrup solids, organic inulin, fair trade certified organic chocolate chips (organic cane sugar, organic cocoa liquor, organic cocoa butter, organic vanilla) organic mint extract, organic guar gum, organic spirulina powder (for color) sea salt, organic locust bean gum. CONTAINS TREE NUTS (COCONUT). They would love your support in voting, as well as helping spread the news. NadaMoo! is the only locally-owned brand in the running, and we love to support our local companies whenever possible. You can link to the survey and vote here – note that NadaMoo!’s under category 9 on the first page and you can get social with them too. Willingly Unhealthy Humans: HOW DO WE STOP THIS TREND? Guest writer, Elissa Garr, talks about getting back to basics and healing our society through conscious efforts related to food and lifestyle choices. I have always considered myself educated. I have been learning since I was a baby and have never stopped. I am by trade a teacher and counselor. 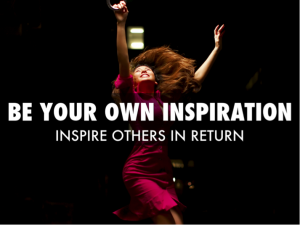 I have always been extremely observant to the actions, words, and deeds of others and the motivations behind them. Like many, I have started to notice a terrifying trend; the vast obesity of Americans. Not just the obesity of adults but the obesity of children, the children I teach every day. If you are a member of this blog, you are not a stranger to the dangers of wheat, sugars, processed and man-made foods. My questions is…….. The information is out there, yet people blatantly ignore it. 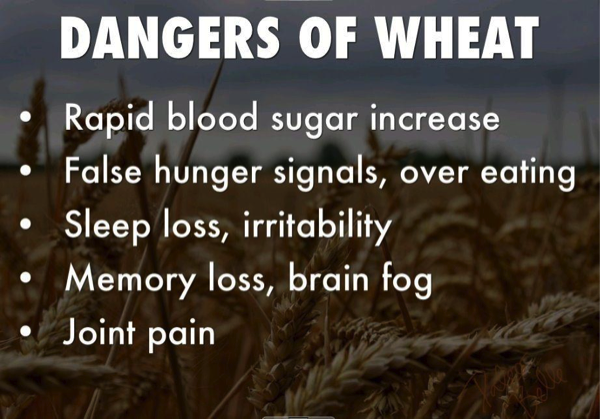 I have searched for research that supports the healthy benefits of wheat, I can find very few and it is obvious that the risks out weigh the benefits. Yet people still continue to gorge themselves with numerous servings of wheat daily. Our own government boasts at the benefits and daily recommendations of whole wheat and in the same breath conduct dangerous genetically modifying experiments and we the people are it’s test subjects. People see the negative effects of these ‘foods’ and yet fail to blame them or accept responsibly for their choices. « A personal tale of Celiac disease, and it’s traumatic effects on the mind, body and spirit. A personal tale of Celiac disease, and it’s traumatic effects on the mind, body and spirit. 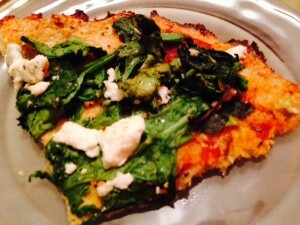 This is a guest post from our Organic Food Insider, Leslie. Here she shares a very touching, real story of what it’s like to have Celiac disease, how she discovered it, and what her journey entails. I feel like I tell my story all of the time. I had stomach aches. I couldn’t figure them out. Doctor’s told me I had IBS. I read about gluten in a magazine. I cut it out. My life changed forever. Is it really this simple? No. But this is how simple my story has become when I share it with the masses. I’ve never gotten more personal than I will right now, but let’s begin. I played soccer growing up. It was my passion, my addiction and all I ever wanted to do was play pro and be Mia Hamm. Yet, my long days of playing were always interrupted by stomach aches. I once ran 2 miles off the soccer field, during a game, just to use the restroom at my own house. I couldn’t breathe, my stomach was so wrecked. This is one of the first instances I remember of my life being interrupted by stomach problems. Most of my memories are shameful bathroom excursions into the back of my grandmother’s house. We’d eat pasta dinners every Sunday and I’d always feel horrible afterwards. I’d sneak to the far bathroom and rock back in forth, in tears, as I silently tried to use the restroom. 30 minutes later I’d walk out, hoping no one noticed my long absence from the family gatherings. These were so frequent that they became normal. At least three times a week, I had bouts of stomach aches like that one. The most embarrassing times were in high school, when my first boyfriend didn’t understand why I always spent hours in the bathroom. We’d eat donuts in the morning on the way to school and I’d spend first period crying my eyes out in one of the stalls, unable to function until I emerged. The memories of sitting in the journalism classroom, immediately feeling uncomfortable and having to rush out, are still so vivid. There’s something so alienating about having to quietly leave the room and go to the bathroom. It’s as though your life is being put on hold – you’re disappearing from reality. The alienation became worse when I entered college. I met some new friends… who happened to be stupid friends… and we’d drink constantly on the weekends. Beer wouldn’t immediately get my stomach in a knot, it was only the aftermath which left me helpless. The morning after a party I’d be unable to move out of my bed. I’d make it to the bathroom only in helpless instances. I was told that it must be a bad case of a “hang-over”, even going so far as to think I had a bout of alcohol poisoning. Yet, it was worth it at that time to be able to drink and be accepted rather than stop and spend my nights at home in my dorm. After a bad experience one night out with friends, I finally woke up and realized that this wasn’t who I was…. but by this time my stomach issues had gone way beyond the gut. There are many studies that have come out which point to women with undiagnosed Celiac Disease experiencing bouts of depression and anxiety. After reading these studies, I have no doubt that the constant depression I experienced in my life was a direct result of the high consumption of gluten throughout my entire life. The gut is so permeable that everything we put into it directly affects the rest of our bodies. There were days where I wouldn’t be able to get out of bed just because I didn’t feel life was worth anything. There were also days when I was so overcome by anxiety that I’d just eat anything in sight until I couldn’t fit anything else into my stomach. This continued into my Sophomore year, even after I’d cut back on drinking and junk food. I thought cutting out crap was enough – but it wasn’t! I traveled to Belgium in the summer of 2009 hoping the alone time and European tour would bring me enlightenment. Of course, the Belgian diet of cheese, bread and beer did nothing to help my cause. My anxiety worsened and I remember days where I ate at least 5,000 calories and still didn’t feel satisfied. A few weeks later, I went and saw a GI doctor. They ran tests and gave me heartburn medication because I’d been off gluten for two weeks and didn’t show positive blood work for Celiac. I let them do an invasive procedure, and it showed what I’d read to be true – my Celiac was so severe and had gone undiagnosed for so long that my stomach lining was in horrible shape. From that point on, my life didn’t get any easier. I was still struggling with anxiety and depression and had no guidance on how to go about eating gluten-free on a college campus. I didn’t know that gluten hides in certain sauces and foods. It’s in gum! It’s in salad dressings! It’s EVERYWHERE! I went stomach pain-free most of the time, but every so often I’d have an issue where I’d feel horrible. I’d back track to where I had eaten and I’d realized that I could have had cross-contamination or I’d actually eaten gluten without knowing. 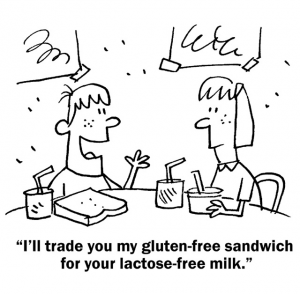 Eating gluten-free on a college campus was the worst. I’d pack my lunch as much as possible, but many days I’d go for so long and only have an apple or some hummus or a LaraBar. Those were my staples. Over time, I was able to find other options – like when I walked into my gym one day and there were these really colorful bars sitting at the cafe. I had seen them being promoted around town and so I tried one. It was amazing and I would carry them with me on campus all of the time – eating at least 2 a day. I continued to try other energy bars, but these were the only ones that didn’t leave me with a headache or a stomach ache. I appreciated the ingredient label and began to look more into all of the claims on the packaging. I didn’t know that soy-free was a good thing and I didn’t even know what agave syrup was! So I began to educate myself. I discovered that more foods than gluten affected my body. I cut out soy and all dairy and any stomach cramps or slight issues that remained began to cease!! Who knew that you could have so many adverse reactions to foods? 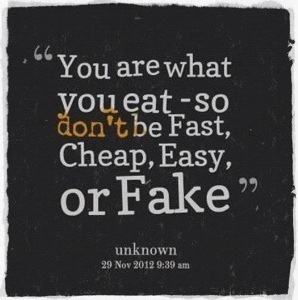 The more I read, the more I realized that eating REAL food, that isn’t processed, was the number one choice for me. 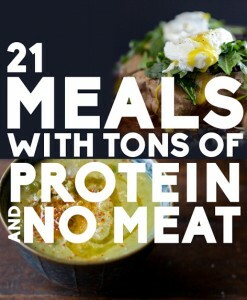 I began to cook all of my own meals, using raw food cookbooks for innovative ideas! As I became more of a real foodist, I regretted the times where I’d slip. 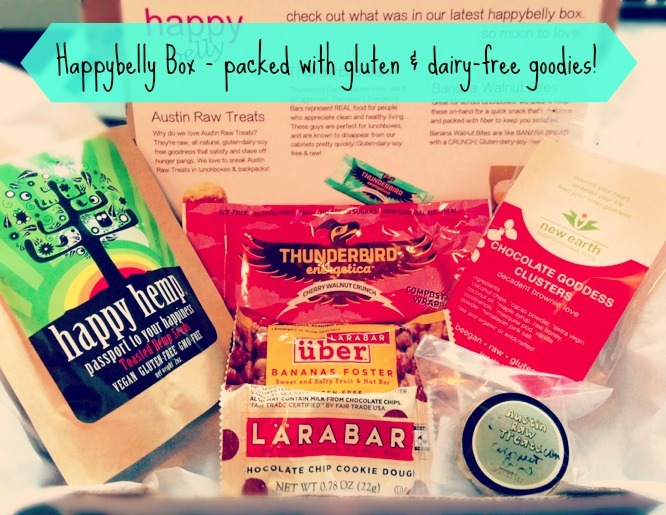 As the gluten-free movement came under way, more options became available to me and it became easier to slip into a processed-yet-gluten-free-frenzy! Eventually, I found my into working for a company that stands for everything that I believe in. 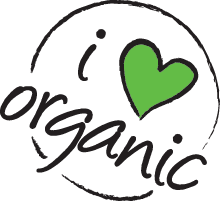 While there can be a lot of drama over the true meaning of “natural” in the natural foods industry, it is a comforting place to work. Last week, I attended a Natural Products Expo, where companies were overjoyed to tout their labels of “gluten-free” and “dairy-free” and “nothing added.” No one asked me why I needed my food to be that way and every person was more than accommodating. Furthermore, it is blissful to be able to sit around a dinner table in the comfort of your bosses and co-workers and friends and enjoy a gluten-free meal of sweet potatoes and humanely-raised animals and deliciously-cooked veggies. There isn’t a moment in the past two-weeks where I’ve had to ask if any meal prepared for me was going to make me sick, and that’s a comfort that I’ve longed for since my diagnosis almost three years ago. For anyone who is currently struggling with the beginning stages of stomach issues or is in the middle and feels alienated by their choices, please reach out to someone whose been there. It’s not worth going in alone. I myself enjoy the comfort of the natural foods industry, but I believe that you can find understanding people everywhere. We’re grateful to Leslie for sharing her story, so please share your comments below and let us know of your own journey. And remember: be cautious, and be your own health advocate. 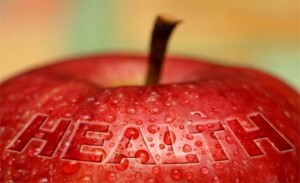 Only you know your body, and what you’re feeling, and it’s truly up to you to help discover the root of poor health. 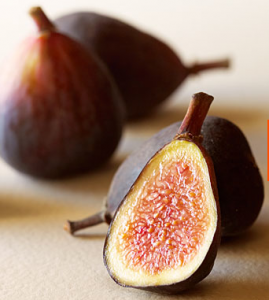 There’s something about warm figs that I just love; whether they are wrapped in bacon, or simply served by themselves, I’m a happy girl when there are figs nearby. And today is one of those rare days here in Austin when it rains all day long, and I’m craving some comfort food. So while I bake a delicious Paleo Meatloaf (recipe to come later!) 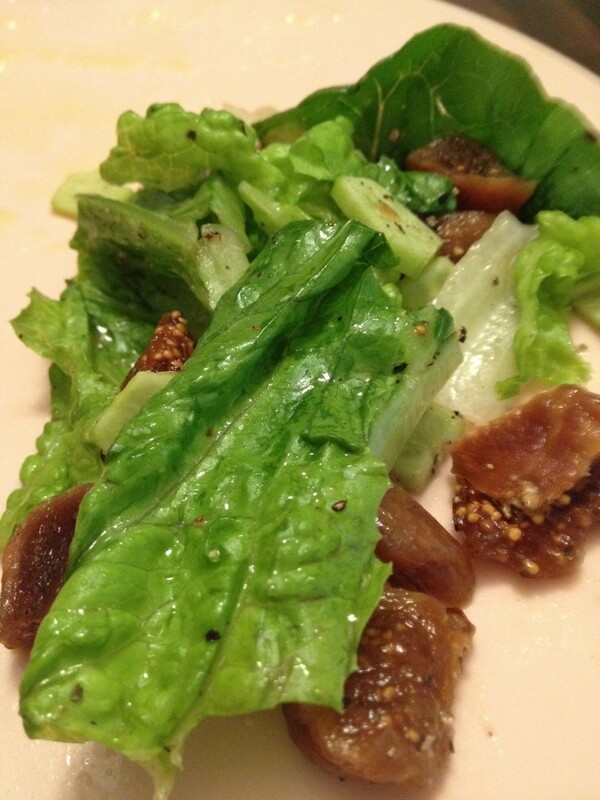 I’m prepping a warm fig and pistachio salad to complement it. And since I’m short on time now – meatloaf is in the oven and I’m just getting ready to prepare the salad – I thought I’d share this goodie with you too. This delicious salad contains fresh figs (although dried figs work too), extra-virgin olive oil, minced shallots, and dry-roasted pistachios. 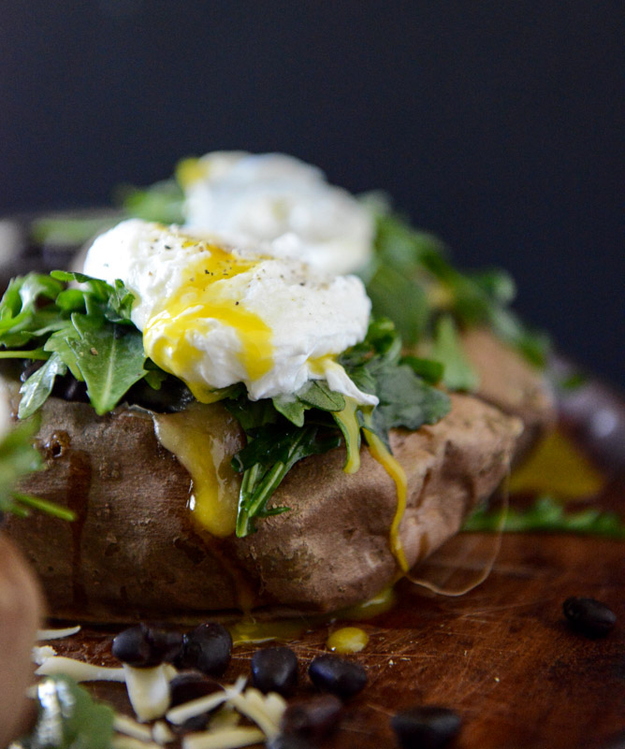 It’s simple, healthy and delish. Roast figs in oven for 10 minutes on 250. Toss the figs with olive oil and place on a baking sheet and roast for about 10 minutes. Cool, and cut in half lengthwise. Then just toss the ingredients and enjoy! For those of you familiar with cleansing, this list will come as little surprise, but may serve as a nice reminder of the most optimal food choices you can make. For those of you not familiar with cleansing, we will be posting a series on cleansing soon, and will tie all the details together, so until then, read on for a list of the most optimal food choices we can make. Remember that old adage from childhood – GIGO. Garbage in = garbage out. It applies as much to our bodies and our health as it does to science. Be sure to feed your body with fuel that will help it heal and thrive! “It’s up to you”. 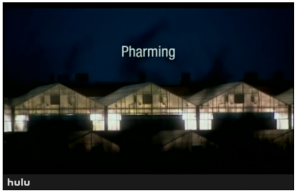 That’s how the powerful film, the Future of Food ends. 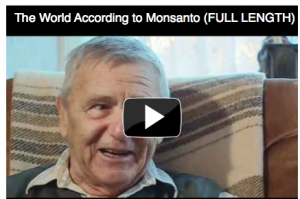 One powerful statement about the right to know what’s in our food. With the rate of allergies, autism, ADHD and asthma on the rise, earning these conditions the nickname “the 4 As”, and with heart attacks, cancer and immune diseases continuing to escalate, many Americans are growing more and more weary of what we’re eating, and how our food supply is affecting our health. Inspired Eats is about finding healthy alternatives to food-based allergens, however, along the way I’ve discovered a growing community of concerned citizens who are fighting a long and difficult battle of ensuring Americans are aware of what we’re eating.